Mark Borsuk’s research concerns the development and application of mathematical models for integrating scientific information on natural, technical, and social systems. He is a widely-cited expert in Bayesian network modeling with regular application to environmental and human health regulation and decision making. He is also the originator of novel approaches to climate change assessment, combining risk analysis, game theory, and agent-based modeling. Borsuk’s highly collaborative research has been funded by NSF, EPA, NIH, NIEHS and USFS, and he has authored or co-authored 75 peer-reviewed journal publications and 6 book chapters. Borsuk received the Chauncey Starr Distinguished Young Risk Analyst Award from the Society for Risk Analysis in 2013 and the Early Career Research Excellence Award from the International Environmental Modelling and Software Society in 2008. Before joining the Duke faculty, Dr. Borsuk was a member of the Dartmouth College faculty for 10 years where he held an appointment in the Thayer School of Engineering. Dr. Borsuk received a B.S.E. in Civil Engineering and Operations Research from Princeton University, an M.S. in Statistics and Decision Sciences from Duke University, and a Ph.D. in Environmental Science and Policy from Duke University. He did his post-doctoral training in the Department of Systems Analysis, Integrated Assessment, and Modelling (SIAM) at the Swiss Federal Institute for Aquatic Science and Technology (EAWAG), where he advanced to head of the Decision Analysis and Integrated Assessment group. As part of his appointment at Duke, Dr. Borsuk directs a new interdisciplinary research and teaching initiative in risk, uncertainty, optimization and decision-making. 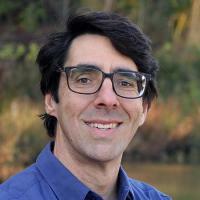 Mathematical models for integrating scientific information on natural, technical, and social systems; Bayesian network modeling with regular application to environmental and human health regulation and decision making; novel approaches to climate change assessment, combining risk analysis, game theory, and agent-based modeling. Krapu, C; Borsuk, M, Probabilistic programming: A review for environmental modellers, Environmental Modelling & Software (2019), pp. 40-48 [10.1016/j.envsoft.2019.01.014] [abs]. Bryant, BP; Borsuk, ME; Hamel, P; Oleson, KLL; Schulp, CJE; Willcock, S, Transparent and feasible uncertainty assessment adds value to applied ecosystem services modeling, Ecosystem Services, vol 33 (2018), pp. 103-109 [10.1016/j.ecoser.2018.09.001] [abs]. Krapu, C; Kumar, M; Borsuk, M, Identifying Wetland Consolidation Using Remote Sensing in the North Dakota Prairie Pothole Region, Water Resources Research, vol 54 no. 10 (2018), pp. 7478-7494 [10.1029/2018WR023338] [abs]. Samal, NR; Wollheim, WM; Zuidema, S; Stewart, RJ; Zhou, Z; Mineau, MM; Borsuk, ME; Gardner, KH; Glidden, S; Huang, T; Lutz, DA; Mavrommati, G; Thorn, AM; Wake, CP; Huber, M, A coupled terrestrial and aquatic biogeophysical model of the Upper Merrimack River watershed, New Hampshire, to inform ecosystem services evaluation and management under climate and land-cover change, Ecology and Society, vol 22 no. 4 (2017) [10.5751/ES-09662-220418] [abs]. Murphy, MB; Mavrommati, G; Mallampalli, VR; Howarth, RB; Borsuk, ME, Comparing group deliberation to other forms of preference aggregation in valuing ecosystem services, Ecology and Society, vol 22 no. 4 (2017) [10.5751/7.ES-09519-220417] [abs].